My first encounter with Iraqis occurred in 1955, when I taught physics and mathematics at the Jesuit secondary school, Baghdad College. Even though I was dismissed from Baghdad along with 60 other Jesuits in 1969 when the Baath party took over the government, my Iraqi students have never been far from my thoughts: partly because teaching Iraqi youth was so intriguing and partly because of my continued contact with our graduates. Recently the stories and images sent by the “embedded” journalists covering the recent war have moved Baghdad to center stage for me once again. Some alumni sent e-mail messages asking, “When are you Jesuits returning to Baghdad?” My attitude toward this recent war (even granting that our government had questionable motives) has been gratitude to God that someone has finally come to the rescue of the long-suffering Iraqi people and provided relief from the cruel, omnipresent police state that governed them for the past 35 years. In 1932 Iraq was granted its independence by the League of Nations. That very same year the Jesuits arrived in Baghdad. One of the highest priorities of St. Ignatius had been a mission to Islam, which was realized in later centuries in Egypt, Syria and Turkey. About 150 years ago two Jesuits were sent to Baghdad to investigate the feasibility of starting a school. After their caravan was robbed twice while crossing the Syrian desert, they notified the Roman Curia that the time was not yet opportune. In 1932, however, Pius XI decided the time had come, and at the request of the Iraqi bishops four Jesuits were sent to start a high school. They purchased 25 acres in the northern part of the city and started Baghdad College (“B.C. on the Tigris”), which was founded as a science-oriented secondary school. With an enrollment of 1,100, the college accepted applicants from the top 10 percent of the primary schools. It became such a great success that in 1955 the government gave the Jesuits 170 acres of land about 14 miles south of B.C., on which to build a new university, to be called Al Hikma. The grant was a stunning sign of the esteem in which the Jesuits were held. Although Muslim boys were admitted to both schools from the very beginning, the objectives of the mission never included proselytizing Muslims. Boston’s Cardinal Richard Cushing never seemed to grasp this idea. On one occasion, after giving a stirring exhortation to benefactors urging support for the Baghdad mission, he confessed his feelings privately to his Jesuit friends: “This Baghdad mission has to be the biggest waste of money and manpower in the history of the church—not a single convert from Islam!” In fact, our Muslim graduates have stated publicly that their Jesuit training made them better Muslims. Over a period of 37 years, 145 Jesuits served in Baghdad and in so doing discovered its fascinating history. The splendid cultures that flourished there for the past five millennia included Sumer, Ur of the Chaldees, Nineveh, Babylon and Baghdad of the Caliphs. From here came the code of Hammurabi, the stories of Eden, Nebuchadnezzar and his Hanging Gardens, Jonah, Tobias, Daniel, the fiery furnace, Sinbad, the Epic of Gilgamesh, Scheherazade and Haroun al Rashid. Baghdad’s Jewish inhabitants were a remnant from the era of the Babylonian Captivity. Abraham, revered as father of all three religions, received the first covenant between God and man at Ur in southern Iraq. The Apostles Jude and Bartholomew first brought the faith to Iraq, and much of the country was Christian by the time of the Muslim conquest. Later the Baghdad Caliphs made the 12th century a time of peace for beleaguered Christians and a center of culture, as students gathered from all over the world at civilization’s first university, Al Mustansurria. As the country grew, the Jesuit mission grew. During the years of Jesuit presence, 1932 to 1969, Iraq’s population expanded to 17 million from 3 million, while the Jesuit population grew from 4 men to 61. Iraq’s secondary school enrollment grew from 2,000 students in three schools to 270,000 students in 840 schools, while the Jesuit school enrollment changed from 103 students in one building to 1,100 students at Baghdad College, with 10 buildings, and 700 students at Al Hikma, with 5 buildings. All 15 buildings were designed and constructed by Jesuits. Government officials were gradually converted from initial intolerance to enthusiasm for the Jesuits’ educational work. A noticeable change in the attitude toward the American Jesuits occurred in 1942 during the Rashid Ali revolt, a short-lived, pro-Nazi coup d’état, when most Americans fled Iraq. The fact that the Jesuits made no effort to depart impressed the prime minister so much that he brought his two nephews to Baghdad College the following September. After that, sons of prime ministers, governors, sheiks and professional men chose the discipline and learning imparted by the Jesuits. The year 1967, preceding our dismissal, was the most promising year ever for the mission. The pioneering years dedicated to survival were over, and earlier Muslim suspicions had disappeared. Wonderful opportunities indicated a stable future, not only for the two schools, which had grown beyond expectation, but also for the Islamic apostolate, the ecumenical work with the various Christians, the spiritual direction of alumni, the lay apostle program and the opening of a major seminary as well as a Jesuit novitiate. Students had remarkable success in the government baccalaureate exams. In 1967 seven out of the top 10 of 30,000 Iraqi students came from Baghdad College. Al Hikma, then in its 11th year, was one of the earliest Jesuit universities to become coeducational (1962). Impressed by the work the Jesuits had done, the Chaldean patriarch decided to move his major seminary to Al Hikma. During that same spring the potential for the apostolate of Islamic studies was even more evident because of the efforts of Jesuit scholars. The construction of the Oriental Institute at Al Hikma, donated by the Gulbenkian Foundation, was near completion. It would be a place for pursuing research in Islamic studies and oriental languages and to study the many Christian manuscripts buried in monasteries in the north. Another sign of growth was the lay apostle program, which each year brought about a dozen young American and European college graduates to work on the mission for a few years. By 1967, 60 “lay apostles” had participated in the program, and they had a marvelous effect on the student body as well as on the Jesuit community. Iraqi students learned a great deal from these dedicated Catholic laymen. In 1968, following a bloody coup d’état in August by the Baath Socialist Party, both schools were nationalized, and all 61 Jesuits were expelled. On Nov. 25 the 28 Al Hikma Jesuits were given five days to leave the country. Baghdad College was nationalized the following August with no reason given and no compensation offered. The Baath Socialist government, whose ideology prohibited private education, confiscated the Jesuits’ property of 195 acres with 15 major buildings, including the contents of two libraries and seven very modern laboratories. No one was in a position to protest these expulsions, because of the atmosphere of terror created by the Baath. Distinguished Iraqi citizens were being arrested, tortured and murdered, and each day ordinary citizens suddenly disappeared. In September, 34 Iraqis had been hanged in public at the South Gate of Baghdad on the implausible charge of spying. It was not until several years after the expulsion that the Jesuits came to understand the real reason for their dismissal. The Baathists feared a fundamentalist Muslim revolt stemming from the Muslim schools, and so felt they had to close all private schools. Since Baghdad College was easily the best feeder school for Baghdad University, Iraqi members of the university faculty pleaded, in vain, with the country’s new leaders, “You cannot treat the Jesuits this way; they have brought many needed innovations to Iraqi education and have enriched Iraq by their presence.” To this day B.C. continues as a model school. Over the years, many graduates came to Canada and to the United States. They formed an alumni association and have conducted 13 biennial four-day reunions in various cities. Each year the attendance grows; the last reunion had 1,400. At these reunions these very grateful graduates, both Muslim and Christian, raise large amounts of money for Jesuit Missions (more than $100,000 was raised at the last reunion). They spend their time discussing such topics as how to instill into their children the values they learned from the Jesuits. The Christians plan Ignatian retreats and have very meaningful exchanges. Few Jesuit schools can boast of alumni as loyal as these. The most interesting part of the Baghdad Jesuit adventure does not concern buildings or huge campuses but concerns rather the students, their families, the Jesuits and their colleagues. It is the people involved who make this mission such a happy memory, since there was much interaction between young American Jesuits and youthful Iraqi citizens and their families. 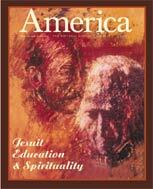 Much more than other Jesuits in their American schools, the “Baghdadi” Jesuits entered the family lives of their students frequently and intimately through home visits to celebrate Muslim and Christian feast days as well as myriad social events, both happy and sad. There was much more than the ordinary bonding between student and teacher. On campus the Jesuits participated in games, debates, drama, contests and athletic events almost as much as the students. Jesuits became enthusiastic about their Iraqi charges when they noticed early on that there was a great affinity between these Iraqi students and themselves. Jesuits found the Iraqi students warm, hospitable, humorous, imaginative, receptive, hard working and appreciative of educational opportunities. The Iraqis found the Jesuits happy, fun-loving, intelligent and dedicated. In the past, great attention was paid to the Baghdad mission by the New England Province, which made major investments of manpower, money, equipment and prayers. What about the question asked earlier, “When are you Jesuits returning to Baghdad?” The melancholy fact is that of the original 145 Jesuits, only 35 are still alive. But Jesuits from some province certainly will return, because a place so important to Islam as well as to Christianity cannot be ignored for very long. What form the future mission will take we leave to the Holy Spirit, who took us there in the first place. But one thing is clear: the Jesuit mission to the Iraqis did not end in 1969. The memoir “The Jesuits of Baghdad: 1932-69,” by Joseph MacDonnell, S.J., (5/26) brought to mind a pleasant encounter I had with those Jesuits in Jerusalem in the summer of 1950. As I understood it, the community in Baghdad took its summer break in the cooler heights of Jerusalem, where a tradition had developed of playing a softball game against the U.S. Marines attached to the consulate there. I had just been ordained a subdeacon for the Archdiocese of New York and, with a classmate, was the guest of our seminary professor of Scripture on a visit to Jerusalem. The Jesuits lacked a pitcher, and my services were offered by our professor, who soon learned, as I did, that pitching against Marines was vastly different from pitching against seminarians. The afternoon ended with another happy tradition of both teams enjoying hamburgers and beer in a local pub. The Marines are now in Baghdad; what a fortuitous conclusion it would be to the recent conflict if the Jesuits could return there too. I am one of the Alumni of Baghdad College. I graduated in June 1956 and shall be grateful if you provide me with contacts of how to get the Reunion Book 0f 2006. I am very interested in maintaining contacts with Jesuits, even though I graduated five decades ago !!! Thank you again. The leading liturgical historian in the Church today, Rt. Rev. Archimandrite Robert Taft, S.J., is a former Baghdadi professor himself. His former pupil, Mar Bawa'i Soro, recently reconciled a group of 3,000 Assyrian Orthodox Christians to the Chaldean Catholic Church! Baghdad college 59-64 Al-Hikma University 64-68 Father MACDONNELL WAS ALSO OUR BASKETBALL TEAM COACH,HOPEFULLY HE WILL REMEMBER ME, WE WERE CLOSE,EVEN IN STATISTICS LECTURES WHEN HE WAS ROLLING THE DICE TO CLEAR THE PROBABILITIES. ALL THE WORDS AND SENTENCES IN THE WORLD, WILL NEVER EXPLAIN THE RELATIONSHIP BETWEEN US STUDENTS AND TEACHERS ,THEY WERE OUR SECOND FATHERS AND OLDER BROTHERS,I HAVE 4 BOYS 40,36,32 AND 21 ACCOMPANIED WITH A DAUGHTER 31 YEARS OLD.I DID MY UTMOST TO GIVE THEM THE EDUCATION SIMILAR TO MINE,BUT NO ONE CAN EVER REACH WHAT OUR JESUIT FATHERS GAVE US.I AM ONE OF THE LUCKIEST ONES TO BE WITH THEM FOR 9 CONSECUTIVE YEARS.ONE THING I AM DEEPLY CONVINCED OF,THE DEAD AND ALIVE JESUIT FATHERS THEY DESERVE SAINTHOOD.George Yanni 1968 pls father Macdonnell stay in touch .god bless you. I am one of the 1959 graduates of B.C. I found Fr.MacDonnell's article most touching and gratifying, which rekindled my deep pride and gratitude for being a part of THE GREATEST academic institution, which shaped my life both spirituely and mentally. I had been living in Canada for the past 31 years, but fate brought me back to Baghdad once again to work as a linguist with the U.S. forces. From what I had WITNESSED, BAGHDAD NEEDS YOU BACK HERE , THE IRAQI YOUTH NEED YOU BACK HERE, to teach them and show them the right path to the future of Iraq, just the way you did with thousands of us, who were fortunate enough to share the fruits of your wisdom and knowledge. Thank you once again for the great article. country again as she was until July 1958,and that BC will be invited to lead the education of young Iraqi again.Thank you. Thank you for the article, very informative. At BC you could not miss learning discipline and organization on the academic and sports side. I would like to see comments on the non-academic aspects from Iraqi teachers who taught us after 1968. BC graduates stood out even at later higher education stages, inside and outside Iraq. Saad Suhail, B.C., 1968-1974. This article also appeared in print, under the headline "The Jesuits of Baghdad: 1932-69," in the May 26, 2003 issue. Joseph MacDonnell, S.J., is professor of mathematics at Fairfield University, Fairfield, Conn., and author of Jesuits by the Tigris: Men for Others in Baghdad (1994).